The final Conservation Feature of 2018 is an appeal for information about two plants that seem to have disappeared from cultivation. The first has been on our HPS Conservation list for some time, but dropped this autumn after no plants had been brought to the annual Plant Exchange for several years. 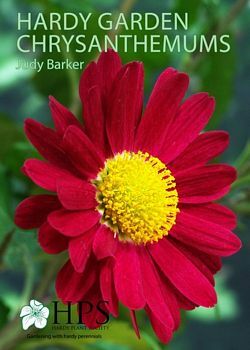 Chrysanthemum 'Albert's Yellow' is listed in the new HPS publication, Hardy Garden Chrysanthemums written by Judy Barker, holder of a dispersed National Collection of these lovely autumn-flowering plants. It was raised by Mr Wright of Collinwood Nursery in the 1950s and named after his friend Mr Albert Butterworth and carries single yellow flowers 5cm across which take on a red tinge as they fade. Unfortunately there is no photograph of this cultivar in the Conservation Scheme records or HPS Image Library. Although hardy it seems to have had a bad year and all three Collection Holders would like to be able to source this plant. The second request comes from the holder of the National Collection of Hesperantha coccinea cultivars and is for Hesperantha coccinea 'Crawshaw Chance'. Hesperanthas, formerly known as Schizostylis, belong to the family Iridaceae and originate from South Africa. They are another lovely plant for the autumn garden flowering from October to December with clumps of grassy foliage from which upright stems emerge carrying slender buds, opening to glossy cup-shaped flowers in colours from crimson-scarlet to pure white. Sadly, no details are known about Hesperantha 'Crawshaw Chance', not even the flower colour, and it was last listed in the RHS Plant Finder in 2009. It appears on the Plant Heritage Desiderata list of plants that National Collection Holders are searching for to add to their collection. 0 Comments To "December's Conservation Feature "